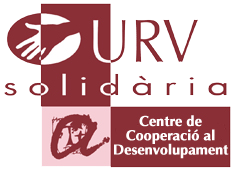 As a university, the "URV Solidària" Development Cooperation Center has personnel, knowledge and equipment especially suited to carry out actions related to the cooperation development related to training or research such as projects, courses or awareness events. The aim of this project is to use the StratApp to enhance their reading comprehension. StratApp is a mobile application that can be filled with any type of text. The teachers participating in this project will have to look for texts, create the activities and upload them in the app. Once this is done, the game can start being used. During the action, the teachers/researchers participants will conduct a simple research to check if the app has been useful for the improvement of their reading skills and if there is a need of any type of adjustment. Once this action is completed, the tablets and the app with the activities will be ready to be used by other students of the school, and even downloaded by other students in other schools. In fact, anybody who wants to improve their reading comprehension in Kiswahili will be able to download it. The associate professor of the URV, Mar Gutiérrez-Colón Plana, leads the group of researchers from the Universitat Rovira i Virgili responsible for carrying out the organization of this project. The members of URV research team are Mar Gutiérrez-Colon, Ester Torres and Vanessa Esteve. And Alicia Ndegwa from Laureate School (Kenya).